6" overall. 2.25" 1075HC steel blade. Brown Walnut handle. Full tang. Natural finish blade. Brown leather belt sheath. Boxed. 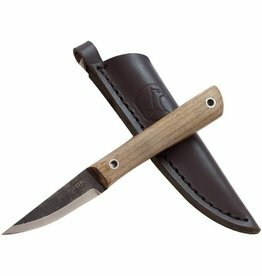 6.5"; Blade: 2.75" l 1075 Carbon Steel l Standard Edge; Other Info: Full Tang l Lanyard Hole. Black traction powder coated drop point blade. Black linen micarta handles. 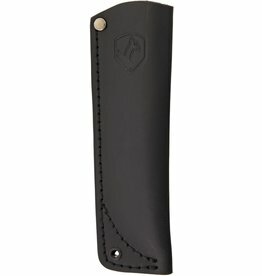 Black Kydex sheath with ball chain lanyard. 7" overall. 3.25" satin finish 440C stainless drop point blade. Checkered Walnut handle. Full, extended tang. Lanyard hole. Brown leather belt sheath. 6.25" overall. 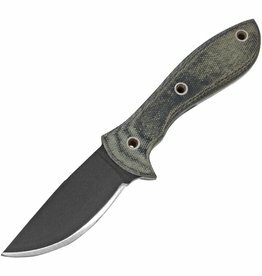 2.5" satin finish 440C stainless blade. 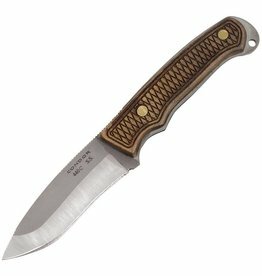 Brown checkered wood handle. Full, extended tang. Lanyard hole. Brown leather belt sheath.